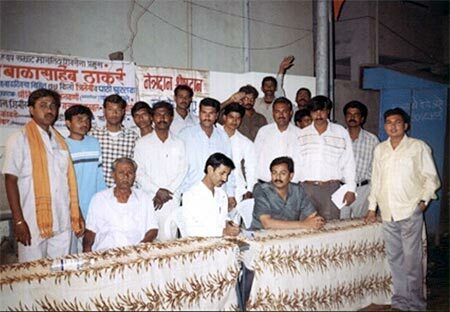 In the get-together samaj at Khadkeshwar, 15 people submitted their Eye donation forms duly filled. Here we motivated around 500 people by distributing 200 pamphlets for Eye donation. 13th January,2004: Sakal Newspaper: Today sakal newspaper given coverage . 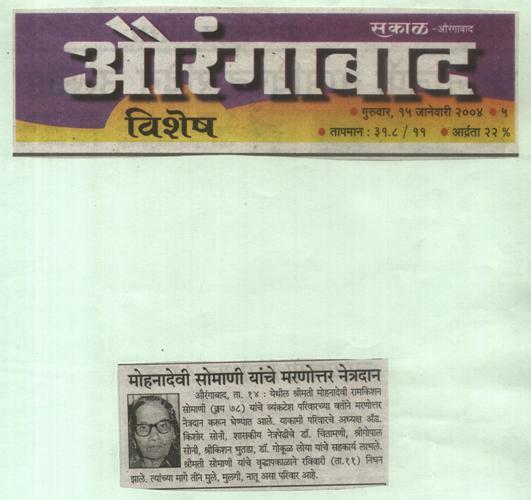 14th January,2004: Lokmat Newspaper: Today lokmat newspaper given news about this. 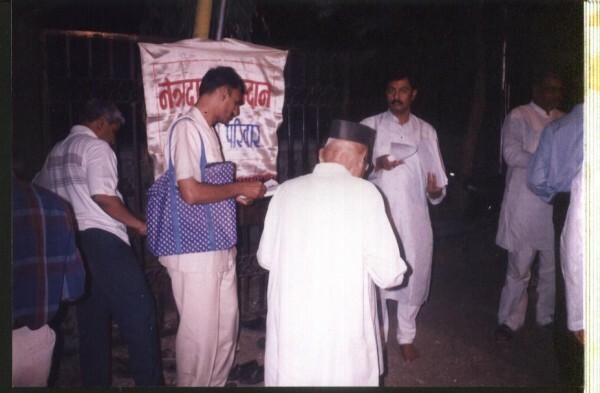 15th January,2004: Eye donation of Late Mohanadevi Somani. 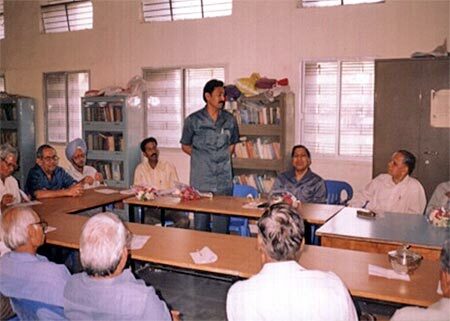 18th January,2004:Eye Donation Camp Institute of Engineers, Aurangabad: Here we have motivated for eye donation to all retired engineers of Maharashtra.They promised about eye donation in future whenever any ones death happens. Kishor soni explaining about eye donation and its procedure. 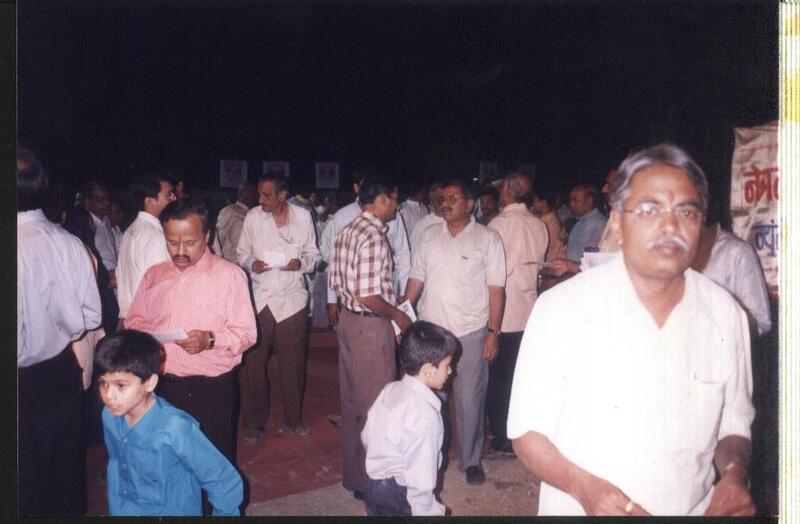 Eye Donation camp on the eve of birthday of Shri. 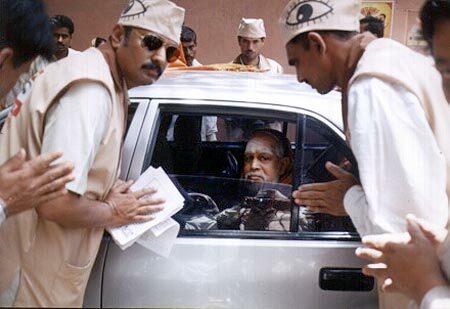 Balasaheb Thakre, Supremo of Shivsena at Padampura. 77 eye donors pledged to donate their eyes .Here we motivated 1000 people by distributing 400 pamphlets for Eye donation in this motivational programme . Here we tried to motivate 35,000 people wit the help of distribution 15,000 pamphlets for Eye donation awareness . Eye donation camp At Vikasnagar, Karegaon road, Parbhani. Here 104 people filled their consent letters. 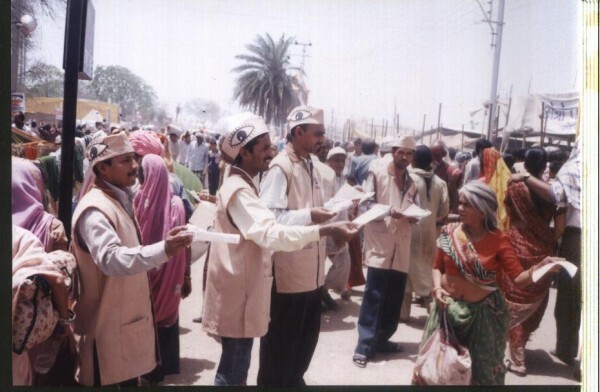 Here we motivated 65,000 people by distributing 32,000 pamphlets for Eye donation awareness. 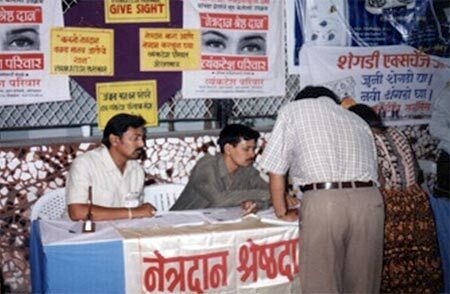 Three days campaign on eye donation. Distributed thousands of Eye donation pamphlets to people at the Katha ground. 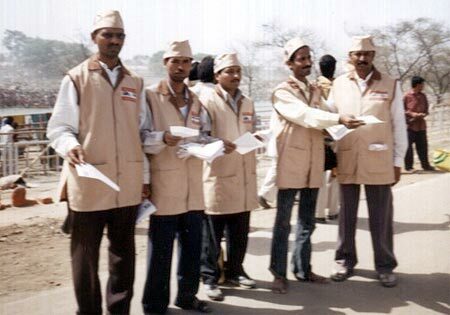 Here more than a lakh people were motivated by distributing 34,000 pamphlets for Eye donation awareness . 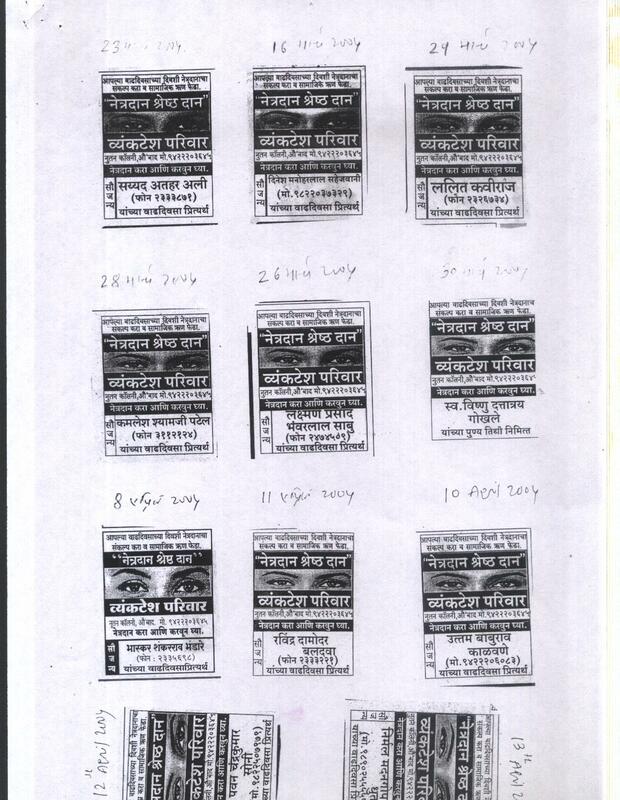 New kind of Project for Eye donation : We advertised for Eye donation from 100 individuals on the occasion of their birthdays in Daily News Papers. 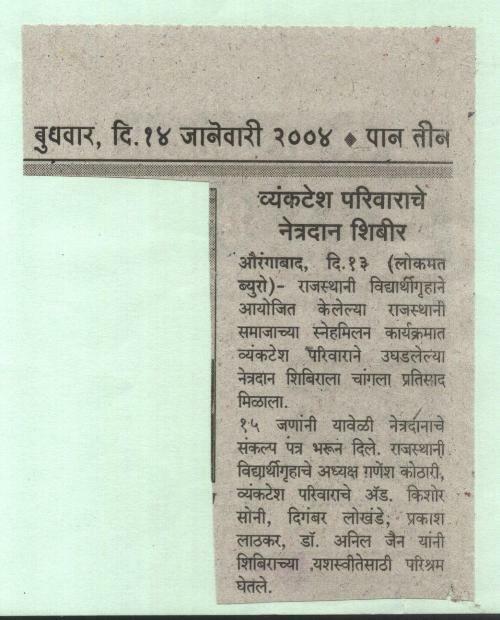 This impacted more than 2,00,000 people by newspapers for spreading the Eye donation importance .Sakal publishes it at very concessional charges.Thanks to sakal. Here we explained the details regarding eye donation in front of hundreds of people. 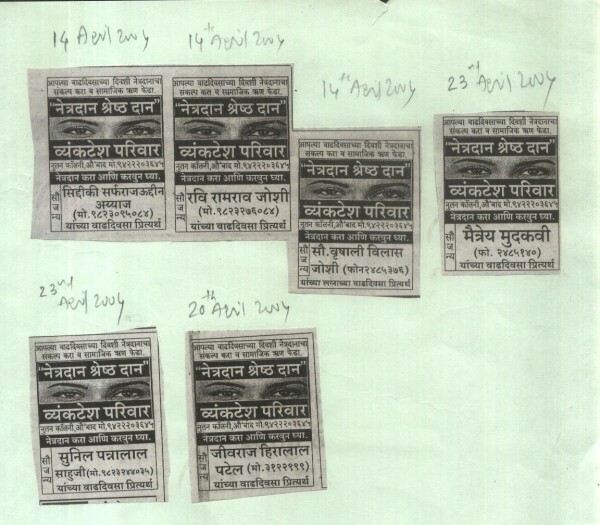 We motivated 2500 people by distributing 500 pamphlets for Eye donation awareness. 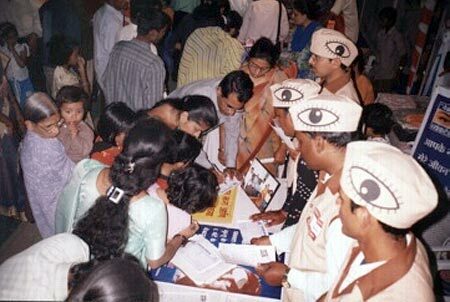 In this 3 days exhibition, more than 100 people took pledge to donate their eyes. A successful project. Here we motivated 10,000 people by distributing 6000 pamphlets for Eye donation awareness. Jagatguru Shankaracharya Jayendra Saraswati appreciated our movement of Eye donation in Ujjain. There we tried to inculcate the importance of Eye donation in the minds of the Sadhus & Saints. We distributed more than 2 Lakh pamphlets of Eye donation to the people present at Ujjain. Here we motivated around 20 lakh people by distributing 2 lakh pamphlets of Eye donation. Eye donation liflets distubution among laks of people.Highest crowd today. Jagatguru Shankaracharya swami jayendra saraswatiji giving blessings to our mission.Appreciating our work in Ujjain kumbhmela. More than 100 people signed their pledge forms. 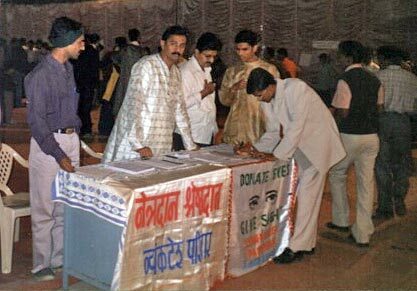 Here we motivated 20,000 people by distributing 8000 pamphlets for Eye donation awareness. 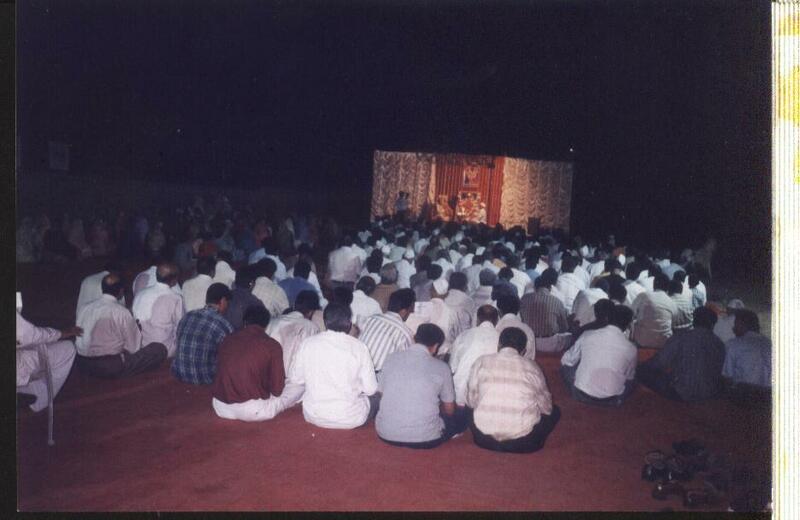 It was organized by the Tribhuvan family on the 10th day of late R. K. Tribhuvan. There 35 Eye donors pledged to donate their eyes. We motivated around 500 people by distributing 100 pamphlets for Eye donation awareness. During his visit to Aurangabad, he had an engaging and fruitful discussion for about 15 minutes on the importance and awareness of Eye donation. 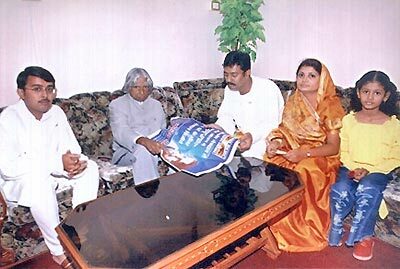 The Honorary President Shri A.P.J. Abdul Kalam was visibly happy with the work done for creating awareness on the important matter – Eye Donation. The Hon. President showed his appreciation by patting the back of Shri. Kishor Soni and stated “You Are Doing A Wonderful Job, best wishes for your Eye donation movement. It’s such a marvelous noble work”. 335 people pledged to donate their eyes by filling forms. Another huge successful project. 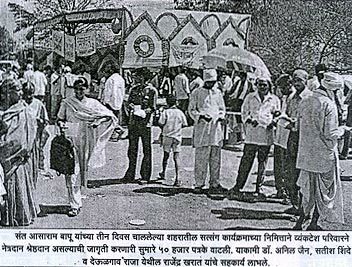 There we motivated around 56,000 people by distributing 24,000 pamphlets for Eye donation awareness.